Overlooking the Atlas Mountains, Iberostar Club Palmeraie Marrakech – is an all-inclusive, family friendly hotel set in 10-hectares of landscaped gardens and a small lagoon. Featuring three swimming pools, two restaurants and two pool-side bars, this hotel is a luxurious retreat guests can rest in with ultimate comfort and warm Moroccan hospitality. The bright, spacious guest rooms feature air conditioning, private balconies and flat-screen satellite TVs, and a seating area and offer guests relaxing accommodation after a busy day. Guests at Iberostar Club Palmeraie Marrakech can indulge in sports like golf with 9-hole golf courses nearby, badminton, tennis and archery. 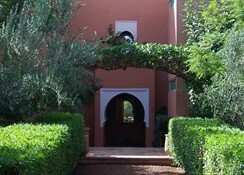 The hotel is situated in Marrakesh, a 25-minute drive away from the famous Jamaâ El Fna Square. The distance to Golf Amelkis is 11.4km, The PalmGolf Marrakech Palmeraie is at 13.8km. A free shuttle service is available to the city centre. The nearest airfield, Marrakech Airport is at a distance of 14.9km. Iberostar Club Palmeraie Marrakech has 318 well-appointed guestrooms furnished with Moroccan-style décor and plush furniture. The air-conditioned rooms come with a double or two single beds, living area with sofa, bathroom with shower, balcony, 40" satellite TV, minibar, safe, telephone, hairdryer, free Wi-Fi and toiletries. 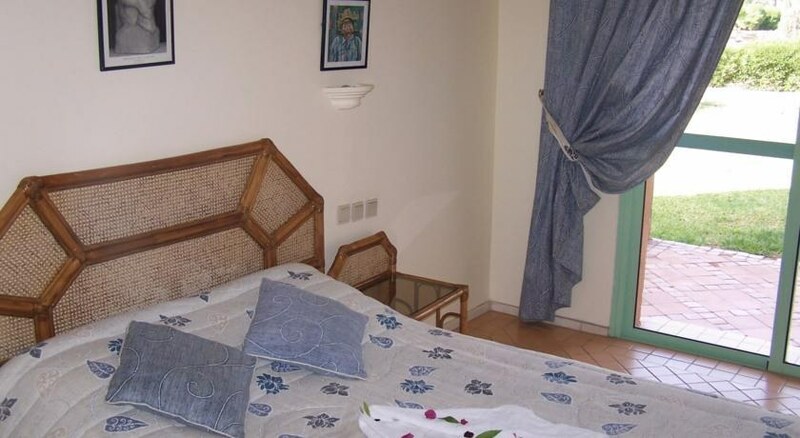 There are many categories of rooms, basic double, double, garden-view double, pool-view double, double atlas mountain view and interconnecting double. Guests can sample delicious Moroccan cuisine and international cuisine at a clutch of lovely restaurants and bars at the Iberostar Club Palmeraie Marrakesh hotel. There are two restaurants serving Moroccan, Arabic and international cuisine served on a beautiful al-fresco setting on the terrace. There are also three bars where guests can relax with cocktails. There is also a food truck which serves up delicious fastfood and show cooking. Watch expert chefs prepare delicious cuisine in the most dramatic manner from the freshest of ingredients. 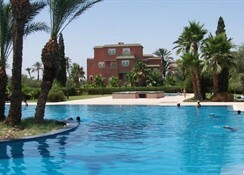 Iberostar Club Palmeraie Marrakech has a swimming pool and kids’ pool and terrace besides a solarium. There is a fully equipped gym for those who wish to stay active. There is a lovely spa with steam room and hammam offering massages and therapies. Tiny tots can have fun at Kid’s Club or Playground. The hotel has facilities for Games room, Table tennis, Mini Golf and Billiards. Guests can also shop at the shops on-site. There is lively evening entertainment. 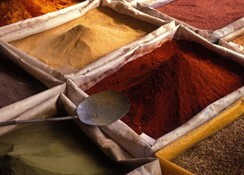 Guests can shop at the narrow streets of the Medina, and visit colourful bazaars.